We developed a tool for tracking of changes in orders for a client whose business is dependent on orders from large modern trade customers. 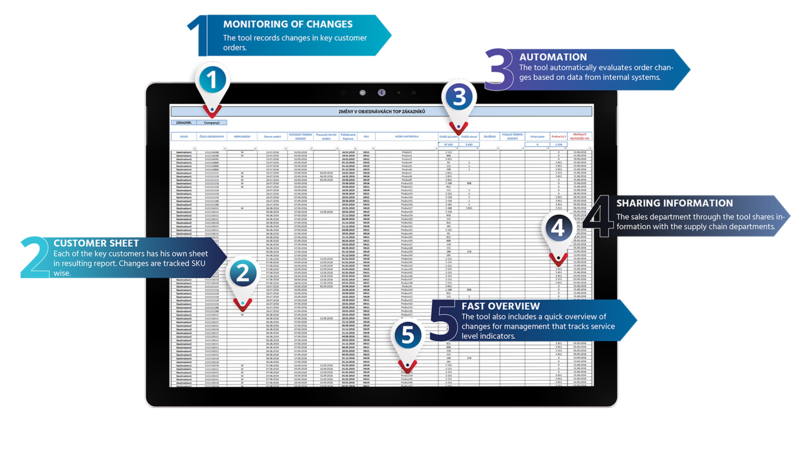 The tool helps manage changes in daily operations and, above all, allows the management to monitor service level KPI. Large customers in the modern trade segment usually order the goods in advance and want them delivered in a very specific time slot. Failure to meet the slot results in penalties and, in extreme cases, results in termination of cooperation. 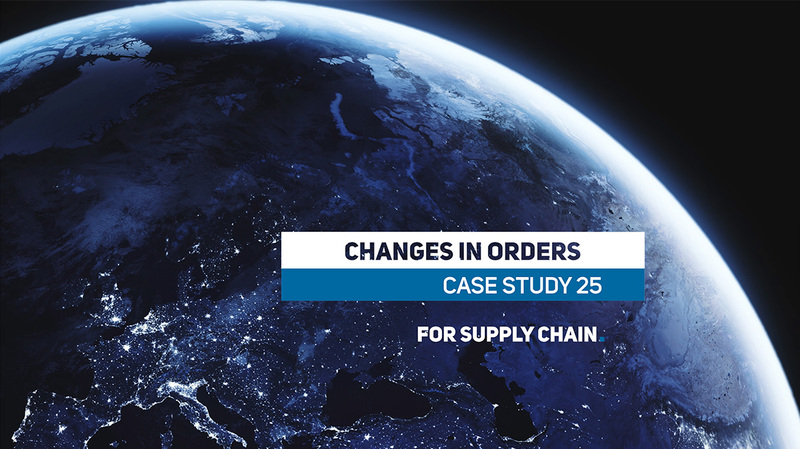 It is therefore essential for the management of the supplier company to keep track of any changes in key customer orders and the reasons of the changes. The tool runs in MS Excel environment. Each key customer has a dedicated worksheet in the tool for uploading data about orders from internal database systems. If there is a change in the number of units to be delivered or a change in the delivery date for one of the orders, the worksheet of the particular key customer is updated and the change in orders is clearly visible there. The tool also tracks the expiration periods of the goods that needs to be respected for individual clients. The tool also contains a regularly updated list of all client SKUs. In the overview section any changes related to specific SKU are visible, sorted by customer. The last section of the report tracks the time from receiving of order to delivery. Delays and other service level indicators are visualised for each of the key customers. Service level is one of the key indicators in logistics. We have created a number of automated reports which evaluate, among other indicatiors, service level KPI. The largest one is Customers Summary – a monthly KPI overview of logistics operations with emphasis on service level.